For some reason, I really like this little race. Maybe it's the cool local feel to it, maybe it's the late (10:30) start, or maybe I just like running around things. 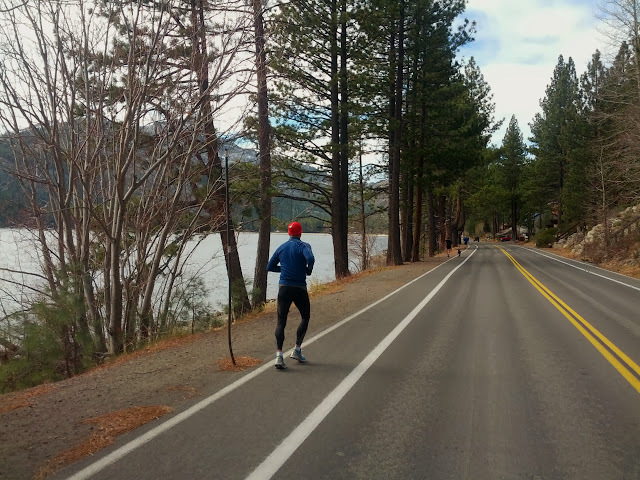 At any rate, this loop around Donner Lake is usually the first Turkey Trot of the season, and I try to make it up for it when I can. This race has had an interesting last few years - the first time I ran it, in 2009, we did it backwards due to some snowy and icy conditions. It was great conditions in 2010, but icy again in 2011, and indeed even cancelled due to permitting problems. 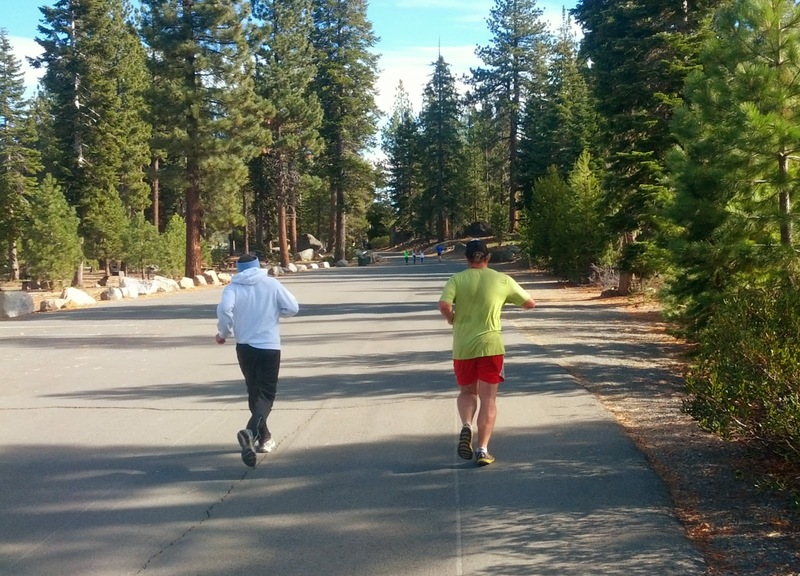 I wasn't up for it in 2012, but snow shortened it to a 2-mile course - not sure which direction they ran it. This year, though, the weather was perfect. They sent the walkers off at 9:30, then did the Mashed Potato Mile for the kids at 10:00. When they were done, the runners lined up and were off right at 10:30. 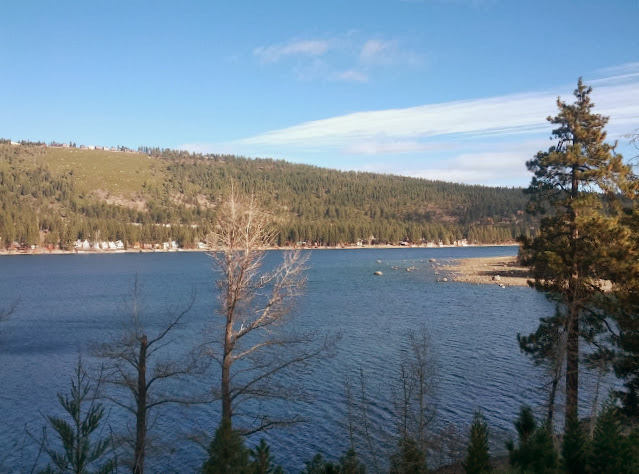 Then one more water station, a tiny uphill bump, and the rest of the run follows the north side of the lake, on Donner Pass Road back to the start/finish area at West End Beach Park. Some funky road shoulder on the lake side here, and you have to stay near the road, but the traffic was minimal and aware of the runners. Stuck around for the classic pumpkin-pie and baked goods raffle, but didn't win anything. 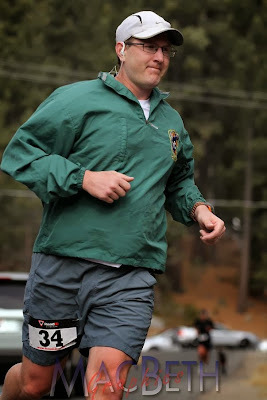 Really glad the weather cooperated and this race went off as planned - hopefully next year will be about the same!